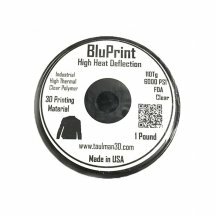 BluPrint Taulman 1.75mm is heat-resistant and has the distinction of having a high glass transition temperature (110°C). Perfect for industrial applications. 450g spool. 36,90 € Tax incl. 30,75 € Tax excl. 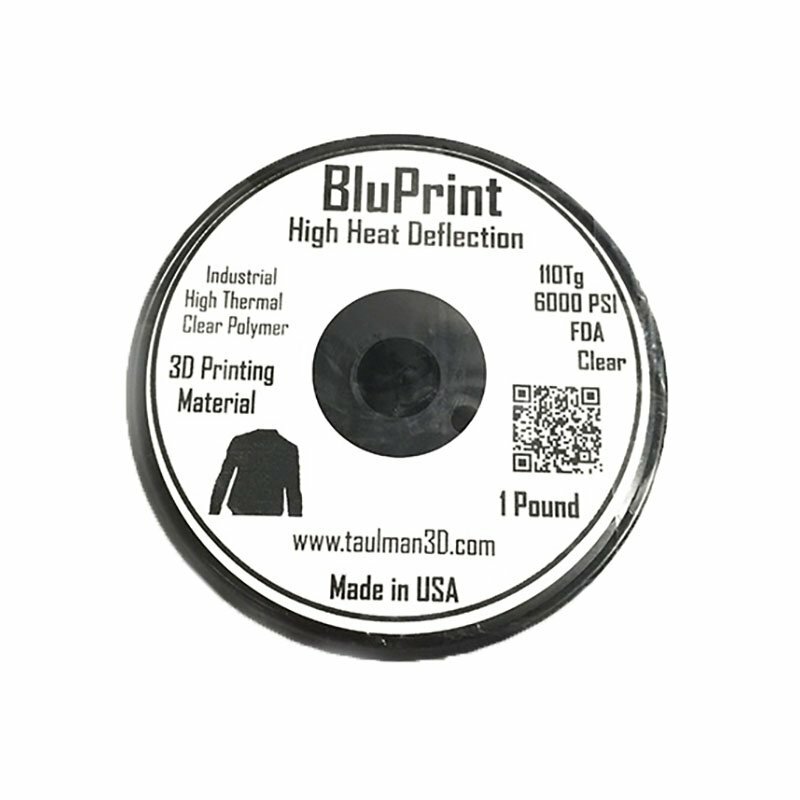 The Taulman specialist manufacturer of advanced filaments offers the BluPrint, a highly temperature-resistant filament: no deformation below 110°C. The filament quality produces items with flawless inter-layer bonding. Be careful to check that the maximum extrusion temperature of your printer can print this filament.